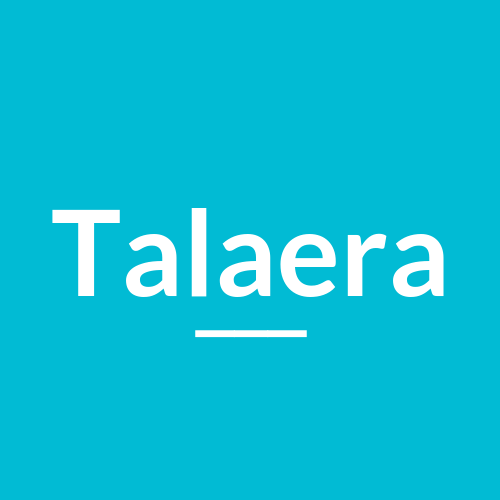 This Talaera English Expert Series focuses on HR and recruiting. 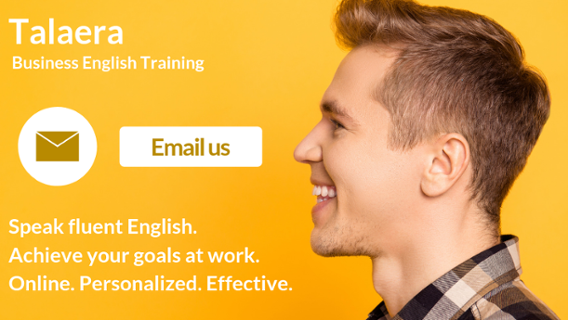 In this four-part series, we’ll look at simple ways to quickly improve your English for recruiting, interviews, negotiating, and onboarding. This series is mainly for non-native English speakers working in HR. If you need to write compelling job descriptions, conduct interviews, or onboard new candidates, then this guide is for you. 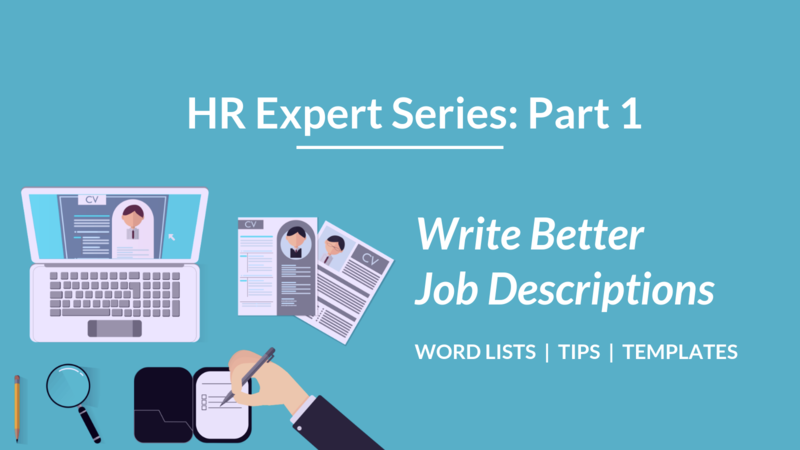 Part one of this series is all about writing better job descriptions. Be sure to subscribe to our newsletter to get parts two, three and four straight to your inbox. As an HR manager in a global economy, you need to attract candidates from all over the world. But as a non-native speaker, how can you ensure that your job descriptions are both compelling and effective? This guide will help you improve your writing skills and attract the right applicants. 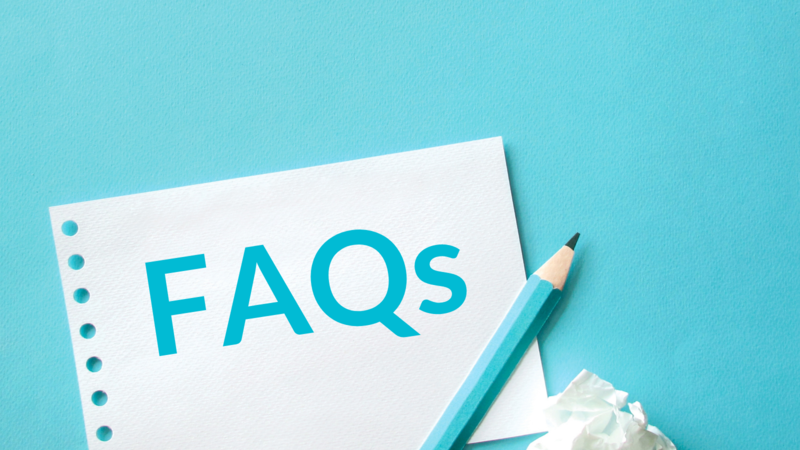 Let’s start by answering some of the most frequently asked questions from some of our students who are active in the world of HR. 1. How can I keep my sentences shorter or say the same in fewer words? Let verbs do the work. Verbs drive the action forward in a concise way (see our vocab section below for a useful list of action verbs). For each key requirement of your job posting, try to focus on the specific action. Try you’re great at + ing-form of the verb. This idea also works from the 'we' perspective: We are looking for someone is great at marketing (ing form). Top tip: Remember to use a colon to introduce the list and skip the capital and period for the list items if they are not whole sentences. Our main office is located in Sydney. Our customer support team is responsible for resolving technical issues with the product. There will be some assignments in the Berlin office, and you will be part of a dynamic team. Grammatically this is fine, but always using the same verb is a little boring. Let’s try rewriting this with different verbs. This rewrite replaces all to be verbs with more interesting choices. Try it yourself by using some of the set phrases and action verbs from our vocab list below. 2. How can I avoid common spelling and grammar mistakes? We highly recommend using Grammarly. It’s a free online spell checker and will catch a lot of your mistakes. You can even set it to check for American vs. British spelling conventions. Another tip is to create a template library for your most common tasks. 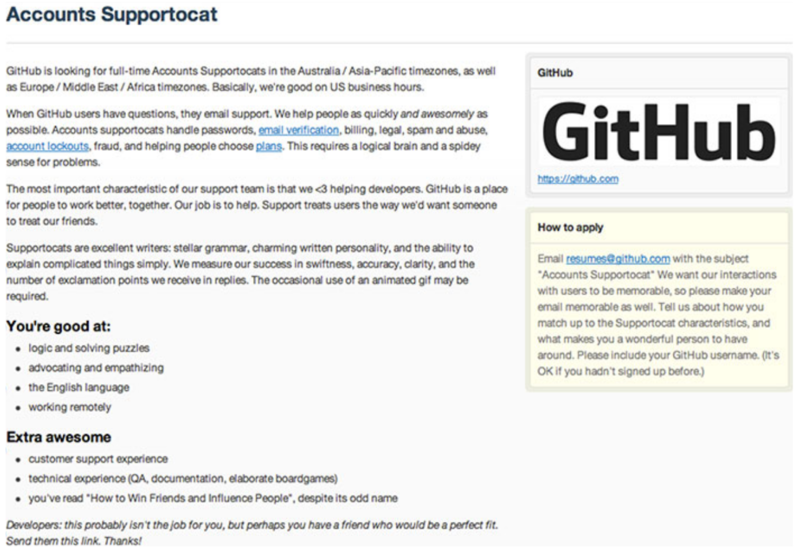 Before drafting a job description from scratch, check to see if one that you can adapt. Often small tweaks can make an old job post sound brand new. Check out this post on commonly confused words in English. It’ll help you understand the differences of commonly confused similar words such as assure/ensure/insure and affect/effect. Finally, you can always get a friend to check your writing for you – four eyes are usually better than two. 3. How formal or casual should my writing be? In English, overly formal job posts tend to scare candidates away. We recommend a business casual tone. When replying to applicants, it is almost always fine to address candidates by their first name. Hi John, thanks for applying. Dear Mr. Smith, we are grateful that you applied to this position. Try to avoid third-person forms in job posts; they are too formal and distanced. The successful candidate will be a hard-working, dedicated, self-starter. Are you a hard-working, dedicated, self-starter? Join our team by applying today. We are looking for a hard-working, dedicated self-starter to join our team. A great way to test your writing is to read it out loud. Does it sound like something you would say? If not, try to write the job post to reflect the way you speak. This will sound more natural and less formal. 4. 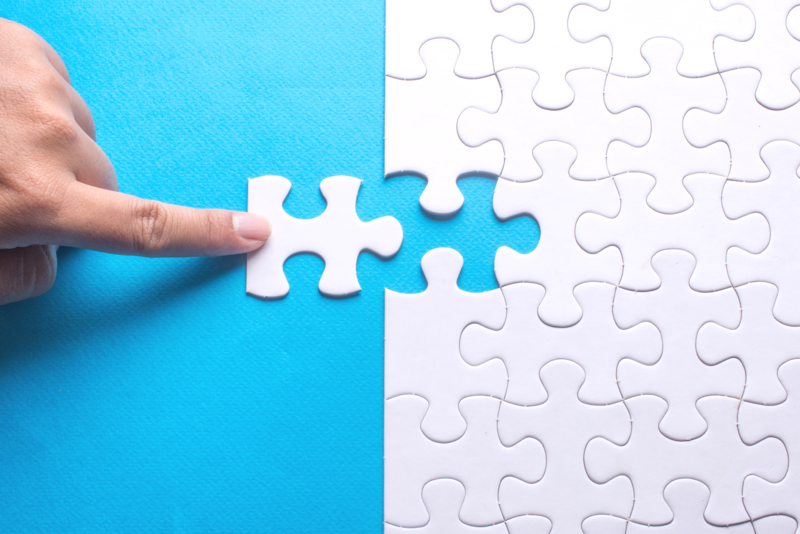 When I address a potential candidate, should I say 'I' or 'we'? When replying to candidates it is also usual to use the ‘we’ form. We have scheduled an interview for next Thursday. When writing about key requirements use either ‘you’ or ‘we’ perspective. We are looking for a Python programmer with three years' experience. 5. How can I make my writing more engaging for candidates? Stopping and thinking about the structure of your text can really boost your writing skills. 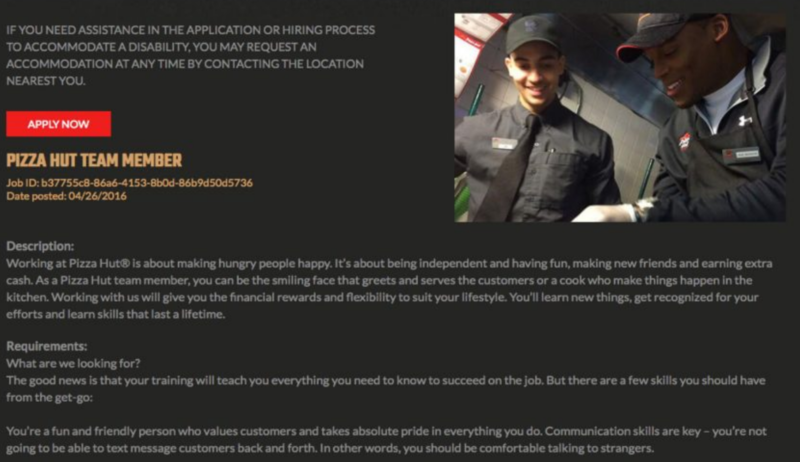 Try starting your paragraph with a benefit, following with something unique or personal about your company and closing with requirements. Would you like to work for a company who is as passionate about data as you are? At Numbers Ltd. our flat hierarchy allows you to define your own research projects and set your own goals. If you have more than 2 years' experience in data science and a propensity for python, get in touch. First, we highlight a benefit of the company. They are passionate about data. Next, we show something unique about the company the flat hierarchy. Finally, we close with the requirements of the job. This keeps the tone of the paragraph much more friendly and less boring. Using questions in job posts keeps your message interesting. Are you great at problem-solving? Do you have more than three years' experience in PHP? Do you thrive in a dynamic work environment? Try not to use more than one or two questions per paragraph. To convert your passives to the active voice, ask who is performing the action? Make this person your subject and key presto - active voice. Avoid words like ‘quite,’ ‘maybe,’ ‘some,’ 'various,' and 'diverse.' They weaken the meaning of what you're trying to say. You will be responsible for IT projects in Java, Python, and PHP. Following these tips will make your writing more engaging to candidates. 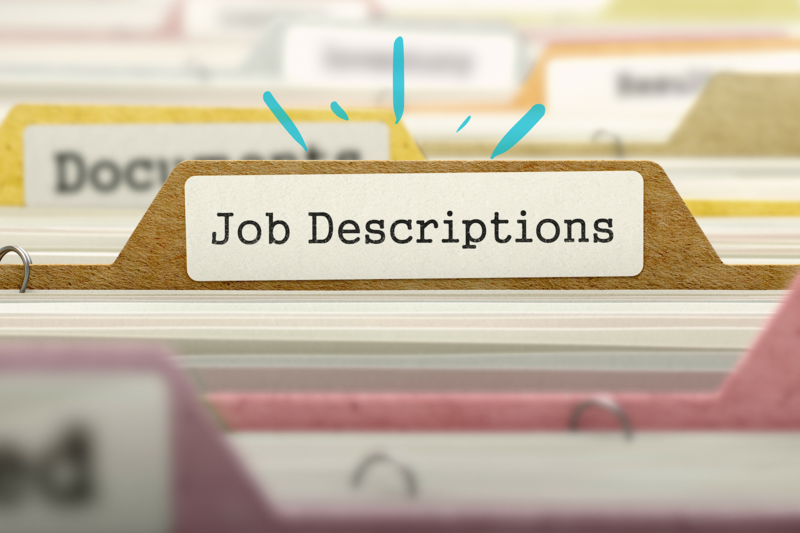 Let’s take a look at some well-written job descriptions that use some or all of the tips above. This example from Github states formal requirements while still being humorous and fun. Use of 'we' to refer to the company and 'you' to refer to the candidate. Bullet points are kept short which makes them easier to read and understand. Use of humor balances the paragraph. On the one hand, you have the key requirements 'swiftness' and 'accuracy balanced by the humorous number of 'exclamation points' you receive. Very benefit-orientated independence, fun, making friends, earning extra cash. Lots of action verbs driving the action forward. Personal with lots of 'you' forms. Lots of 'you' forms, focus on benefits, lots of verbs driving the action forward and keeping it interesting. Use of questions makes the text more engaging. Bonus point for creative use of key qualities. We have compiled a list of useful words and phrases to help you write better job descriptions. If you want to keep this word list as a reference, download it as a PDF here. This word list contains 150 adjectives, around 35 useful verbs, and 18 interchangeable set phrases. These phrases are interchangeable. You can replace the brackets with adjectives and verbs to create many more variations. To do so, check out our verb and adjective lists below and give it a try! Use these phrases to begin your job description by stating who you are looking for. Remember to try out the verbs and adjectives in our word lists below! We are looking for a candidate who is amicable, hardworking, and imaginative. We are looking for a candidate who can coordinate international marketing campaigns. 3. Are you great at + [VERB ing form]? Are you great at reaching out to clients? 4. Are you passionate about + [VERB ing form]? Are you passionate about analyzing data? 5. Do you love + [VERB ing form]? Are you creative, logical and hard-working? Use these phrases to describe your company to potential candidates. We are a growing startup that compiles research. Our dynamic marketing agency monitors social media accounts for our clients. 9. Would you like to work for a company that is + [ADJ]? Would you like to work for a company that is innovative, creative and dynamic? 10. Are you interested in working for a company that [verb phrase]? 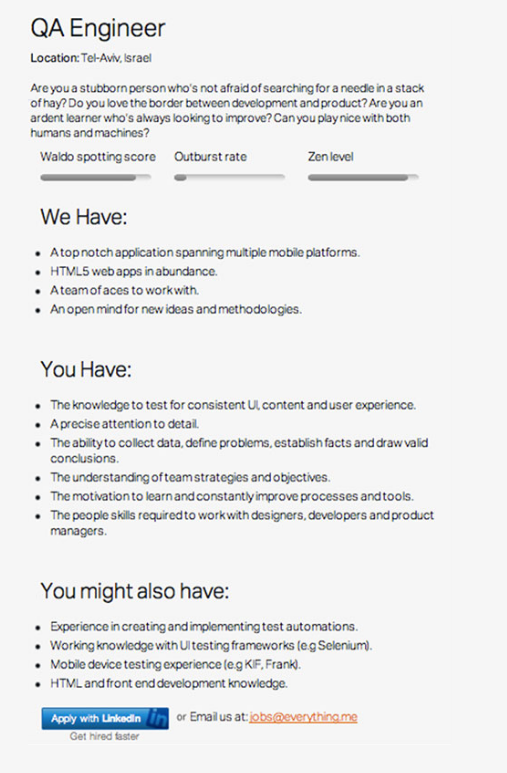 Are you interested in working for a company that tests user experience in web applications? One of your key responsibilities will be delegating tasks to your team of sales rep. If you love designing new apps, you’ll fit right in our imaginative team of Android developers. If you would like to be part of our creative team, apply today by sending us an email. 18. If this sounds like you, then apply by clicking the button below. Try some of these phrases out with the adjectives and verbs below! Below we have collected around 140 of the most useful adjectives to help you write more awesome job descriptions. Adjectives describe qualities of the candidate you are searching for. They can also describe your company as well. They are ordered by sections such as creativity, effectiveness and enthusiasm. Each word is also linked to a dictionary definition. Check it out! These action verbs help describe activities related to the job in a concise way. They drive the action forward. This verb list includes the prepositions commonly used with the verb. It also features an easy synonym and a dictionary link. Our company recently acquired two tech startups. Successful candidates will adapt quickly to their new working environment. You will advise management on database management best practices. This year we have allocated more budget to our marketing efforts. As head of marketing, you will approve the ad promotion budget. As a business analyst, you will compile data on potential partners. You will coordinate international marketing campaigns. You will regularly create presentations for conferences. You can efficiently delegate tasks to your team of sales reps.
You will help our Android developers to design new apps. Your main task will be to develop software that can organize our databases automatically. As a content writer, you will draft blog articles to promote our company. As a copy editor, you will regularly edit texts from content creators. As head of logistics, you will ensure our products are delivered on time. As a manager, we expect you to establish communication links between the different departments. Accurately estimating quarterly earnings is a key task. As marketing manager you will forecast the number of leads we will generate. You will gather information on key developments in the tech industry. You are able to implement cross-departmental projects. As a sales manager you will maintain good relationships with our clients. You will manage our key accounts in Europe. You will measure the efficacy of our marketing efforts. As social media manager you will regularly monitor our social networks. You will notify our users about product updates using newsletters and social media. As VP of sales, you will project sales figures for each quarter. You will regularly reach out to clients to collect testimonials. You will report on user testing to the product team. As a business analyst, one key skill is researching companies in detail. You will review our current management processes. As lead data scientist, you will solve complex problems with statistical methods. You will help to streamline internal processes. To apply, you need to submit an application online. Please summarize your relevant work experience at the top of the application form. As a customer support agent, one of your tasks is to survey our users. You will work with our data team to test our software. Let’s use some of the things we’ve learned. Would you like to work for a company who is as passionate about data as you are? At Numbers Ltd. our flat hierarchy allows you to define your own research projects and set your own goals. If you have more than 2 years' experience in data science and a propensity for python, you’ll be a great fit. We are a young dynamic startup with a team of around 30 full-time staff. Our main focus is providing full-stack data solutions to our clients. In 2018 we completed our Series A funding. Read more about Numbers Ltd here. To apply now, submit your resumé online by following the link below. We’ll get back to you within 3 working days. That’s it for now. Hopefully, these tips will help you the next time you have to write a job post. Be sure to stay tuned for part 2 where we will look at how to master the interview phase. Contact us on Twitter, Facebook or LinkedIn for more information or book a free demo now. 11 Killer LinkedIn Tips for HR Managers.